Our outside spaces are peaceful, beautiful areas managed to provide a safe and ecologically diverse habitat for wildlife. Visitors are welcome to call in at any time during opening hours to simply enjoy our lake area. It is an accessible area with an all weather path suitable for wheelchair users circling the lake. Canoeing is a paddle sport in which you kneel or sit, facing forward, in an open cane and propel yourself forward with a single bladed paddle under your own power. 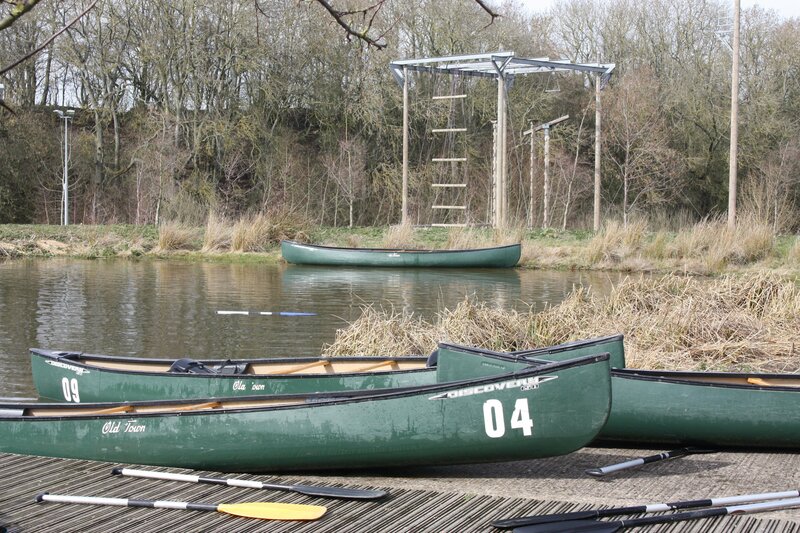 We have “Old Town-Discovery 158” canoes at the Hub. 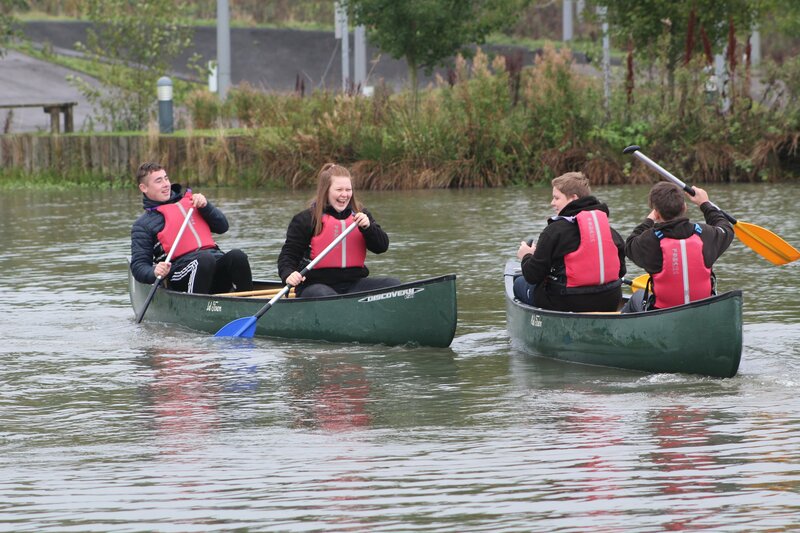 Canoeing can be for solo or pairs of canoeists. 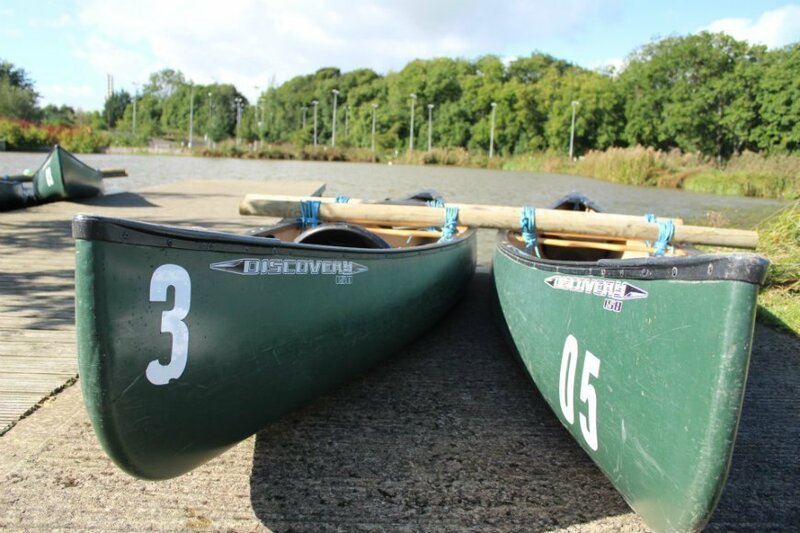 Our instructors will teach you the basics, if you have never canoed before, or build on your existing level if you wish to improve. Similar to canoeing but using a double bladed paddle, kayaks can have closed decks but are still easy to get in and out of. We use Robson Moonster kayaks which are designed for both white and flat water. Kayaking is performed solo. 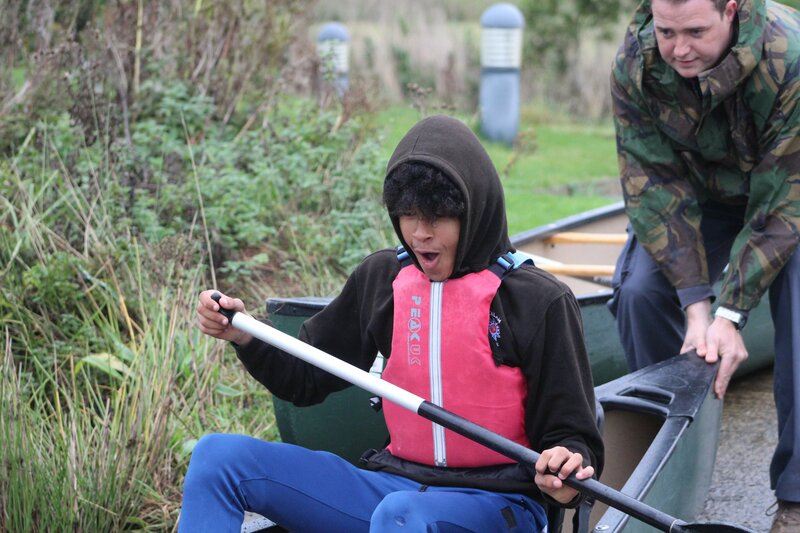 Both canoeing and kayaking combine teaching skills and techniques with activities such as water polo and stuck in the mud to allow the individual to build on the techniques learned. 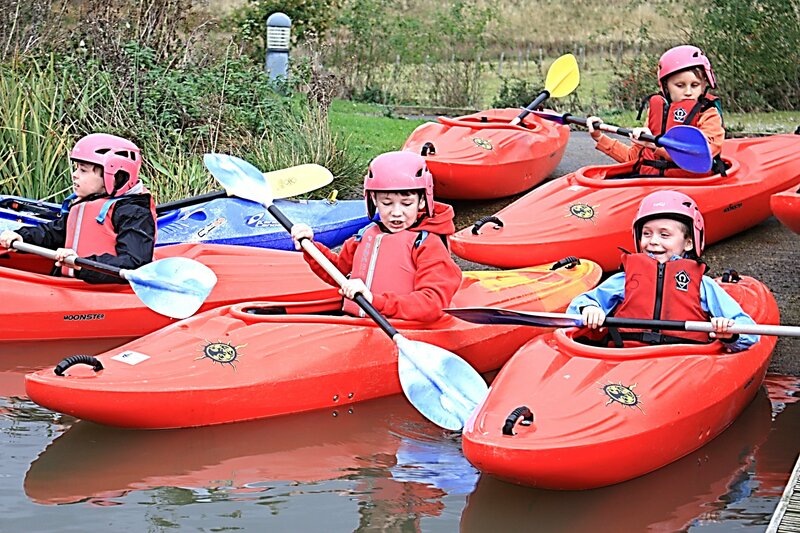 Minimum age for canoeing is 6 years old and for kayaking is 10 years old. Instructors are BCU Level 2 or higher and fully trained in ICT Outdoor First Aid. Buoyancy aids and helmets are provided and MUST BE WORN AT ALL TIMES. Anyone seen without their aids and helmets will take no further part in sessions on the water. The lake is home to a good population of fish and fishing is allowed to anyone holding a national river licence. In the interests of health and safety fishing is not permitted during any canoe or kayak sessions. 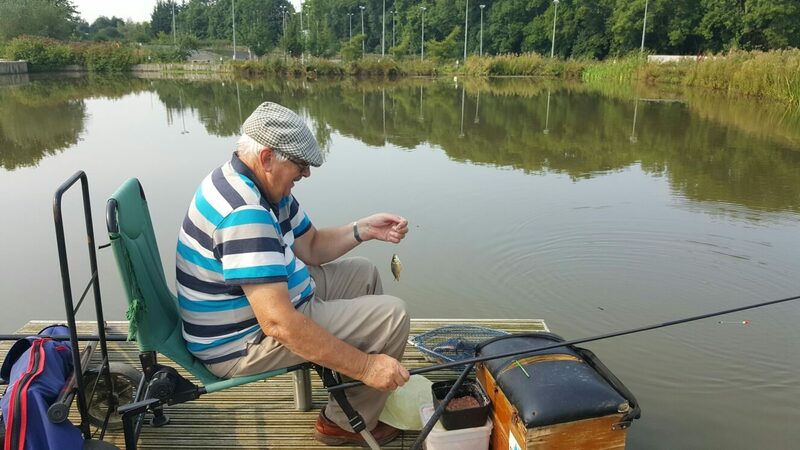 Please check our calendar or phone us on 01833 690150 before planning a fishing trip. A valid national fishing licence must be presented prior to fishing.